We are an elite division of Sunbelt , the largest organization of business brokers and M & A professionals in the world. 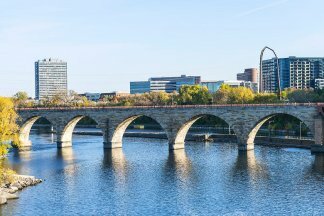 With our four offices in Minneapolis, Minnesota; Chicago, Illinois; Milwaukee, Wisconsin; and Las Vegas, Nevada, our local experts put Sunbelt’s global reach to work for you. The business brokers and M & A intermediaries in Sunbelt Midwest, consistently rank in the top performers of Sunbelt International. Because of this team’s expertise, it has been trusted with coordinating all of the national franchisor relationships for Sunbelt (the only organization able to offer such service). Because of this interaction, Sunbelt Midwest has a unique ability to market businesses throughout Sunbelt internationally. As part of your trusted team, our experienced Business Brokers and M & A Advisors work with you to navigate the complexities of buying and selling a business. Our interests are the same as yours as we know business transactions don’t close unless all parties feel there is a win-win. We are committed to confidentiality, integrity and professionalism. When you choose Sunbelt Midwest, you save time and money with an authority in business sales you can trust. Sunbelt Midwest won the Sunbelt office of the year award in 2005. Sunbelt Midwest’s intermediaries have individually won more Sunbelt awards than any other Sunbelt group in 2006 and 2007. Sunbelt has been recognized by Entrepreneur Magazine every year since 1995 as the top business brokerage firm. Sunbelt’s web site has received Inc. magazines highest web site award for servicing Inc.’s clientele. Mike Wheelock & Nacia Dahl of Sunbelt Business Advisors represented CORE Respiratory Services of Minnesota when they decided to sell their business. If you are a business owner thinking about selling your privately-held small business or a buyer looking to buy a business, these guys are top shelf professionals. Billed as the largest business brokerage in the world, Sunbelt has a full slate of businesses for sale. They have a process that is time-tested and allows both seasoned and rookie buyers to succeed in getting to the closing table with a business owner. Because of their size (worldwide exposure) they have access to thousands of business listings and an equal amount of buyers. Sunbelt Business Advisors completed the sale of CDM Systems, Inc.to Michigan based KMC Global, Inc.
Sunbelt Business Brokers M & A Group concluded the sale of a Milwaukee-based Fraud Investigation Services Company. The company provides traditional and financial investigative services to national and international clients. “I was very pleased with Peggy (DeMuse) and your staff. It became apparent right away that you had the resources not only to sell my company, real estate, and assets, but you had the expertise to organize the process with all the documentation, experience, knowledge. I never ever had the feeling that I was alone in the sales process. “The Milwaukee office of Sunbelt Business Brokers was far and away the most proactive firm I dealt with in my year-long search for the right business. I was impressed by, and appreciated the energy every one of their people put into helping me find the business, and just as importantly, put into helping with due diligence and moving through closing.